Rain is from the tail-end of a typhoon system apparently - shows again that it's not always where the eye is that cops the worst - included 263 mil in a 3 hour deluge - seems this caused a lot of the flooding. That level is probably manageable in Taiwan but not everywhere is geared up for this kind of deluge. Devastating indeed. 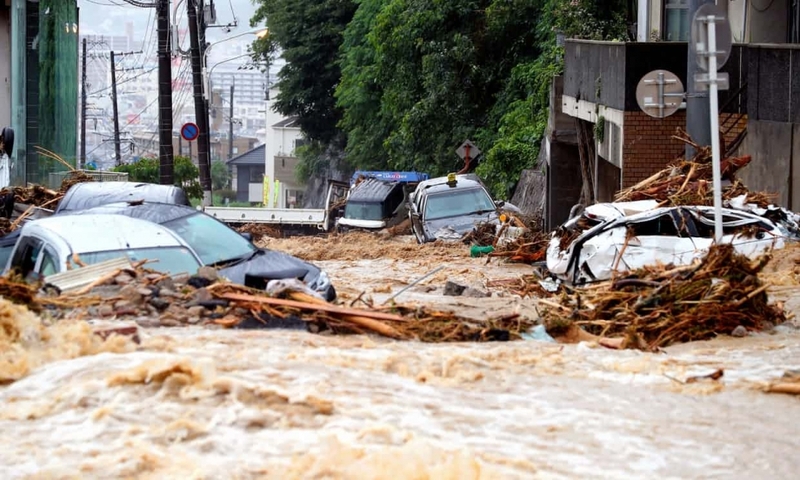 Japan sure does get its share of natural disasters. We seem to have missed a couple bullets on this trip. The Osaka quake was a few days before we left and this is happening a few before we return.